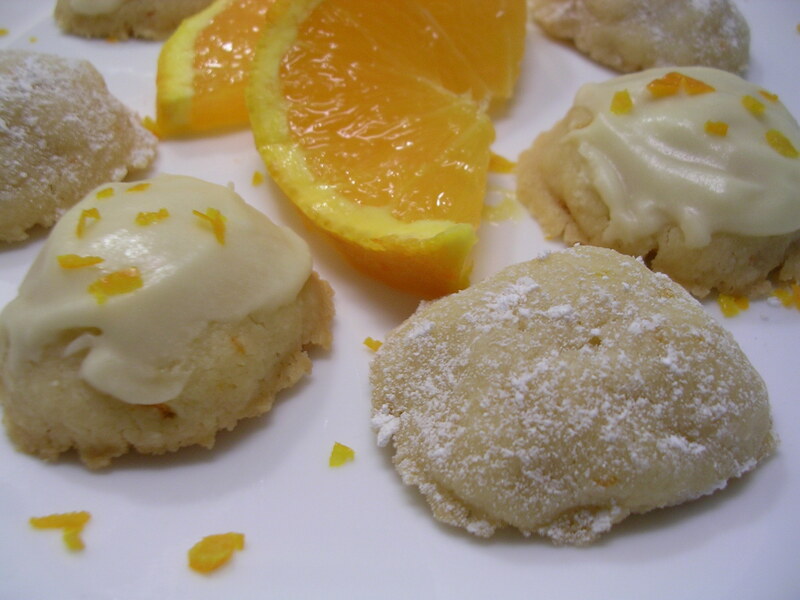 While pondering what to bake this weekend, I came across a recipe for "melting moments". Not only did the name seriously catch my attention, it had me fantasizing about what kind of cookie would possibly be so good that they melt in your mouth? 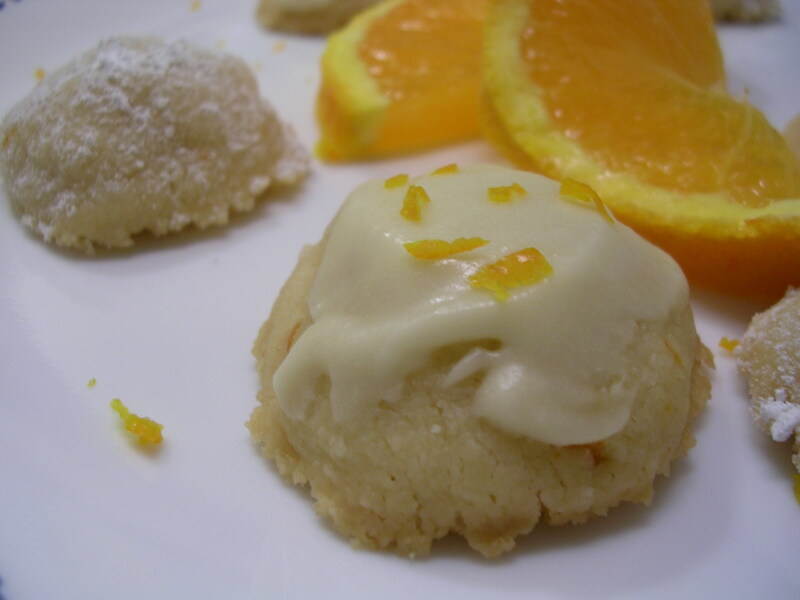 Well I've found my answer… these cookies are buttery like shortbread, but with the help of cornstarch as its secret ingredient, the cookies end up light and airy and literally fall apart and melt in your mouth. They are fragile cookies to bake, but worth the care for the delightful results. 1. Grate the peel of an orange to get the citrusy zest. I had no grater, so I used a vegetable peel to peel off strips and then I labored to chop them up into tiny tiny pieces. You want them to be small so that you don't end up having to chew at it in the cookie. Just make sure you don't peel off the white pith underneath the zest because it is bitter. 2. Combine flour, cornstarch, and salt in a bowl. 3. 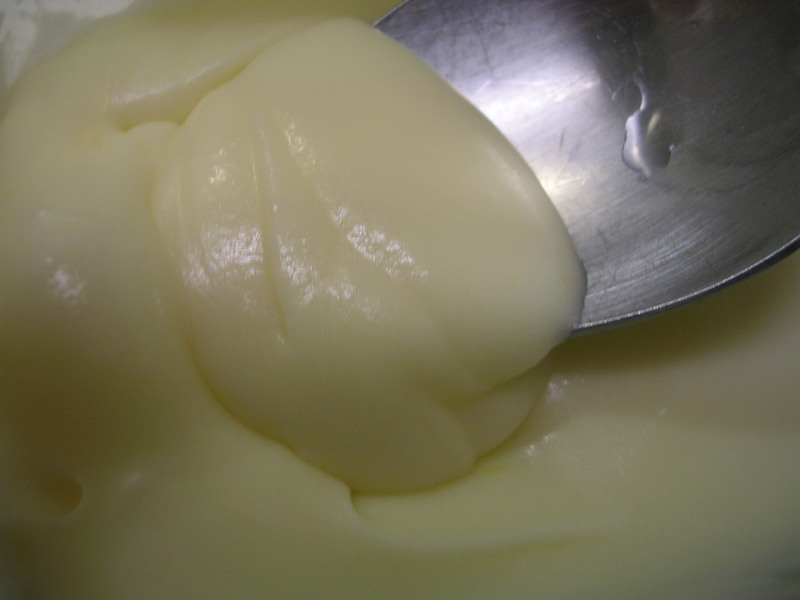 In a different bowl, cream together butter and sugar using an electric mixer or with a fork/wooden spoon until it is light and fluffy. The best way is to use an electric mixer so that you can aerate the mixture, but I have no mixers at school so I went at it the old fashioned way. 5. Preheat your oven to 350 degrees F. Line a baking tray with parchment paper or foil. 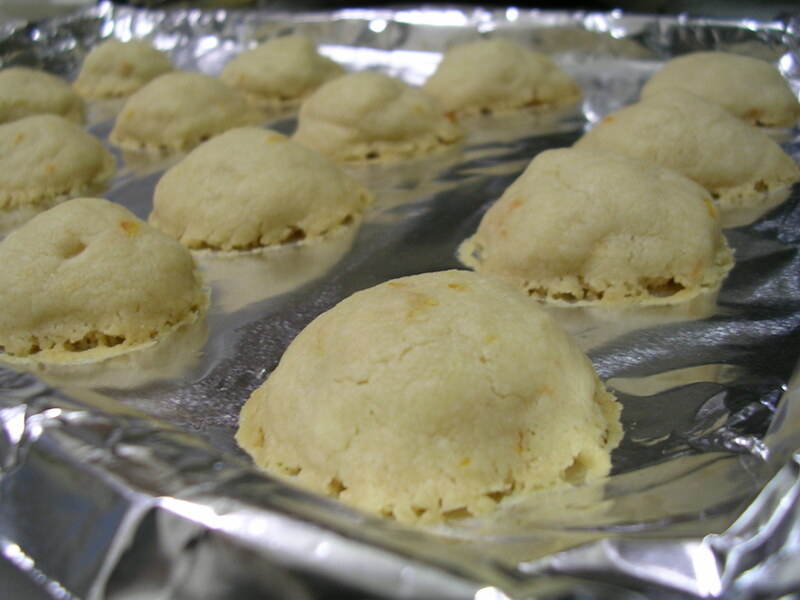 Shape dough into balls about 1 inch in diameter and place on baking tray about 1 inch apart. Do not flatten. Bake for 12-14 minutes until the bottom edge of the cookies are just starting to brown. They will not brown on top. Remove and allow to cool for a few minutes before lifting the foil carefully out of the pan to move the cookies off. They will be very very fragile right when they come out of the oven, so be really careful not to handle them too roughly. 6. 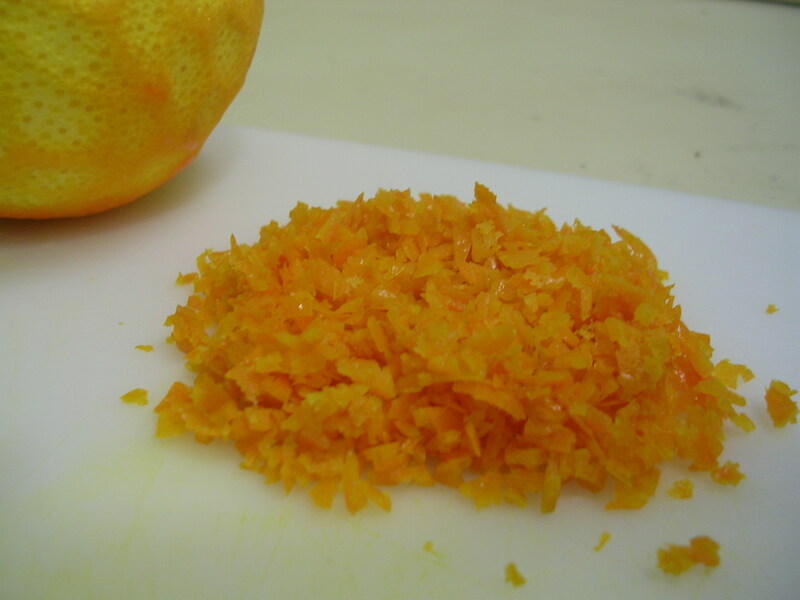 To make the orange glaze: squeeze the juice out of the orange that you just zested, to get 1 tbsp. Combine with 1/2 tbsp of melted butter. Add 1/2 cup of confectioner's sugar all at once to the juice mixture and stir with a fork until it becomes smooth and creamy. Stir in vanilla. Using the back of a spoon, carefully spread glaze onto the tops of the cookies. 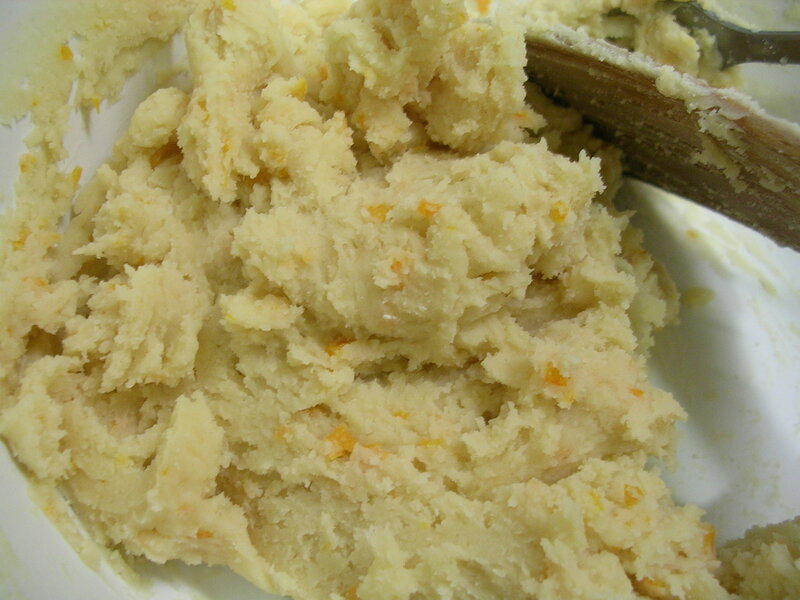 Sprinkle with orange zest on top if desired. This entry was posted on Sunday, October 14th, 2007 at 5:57 am	and posted in baking, desserts, recipes, Uncategorized. You can follow any responses to this entry through the RSS 2.0 feed. I am having a heart attack reading your blog – have been craving Chinese food now that I am out of the house…..